Bending most light is easy; bending it in gamma ray form, however, has often been deemed impossible given how hard it is for electrons to react to the extreme frequencies. University of Munich scientist Dietrich Habs and his Institut Laue-Langevin teammate Michael Jentschel have proven that assumption wrong: an experiment in blasting a silicon prism has shown that gamma rays will refract just slightly through the right material. 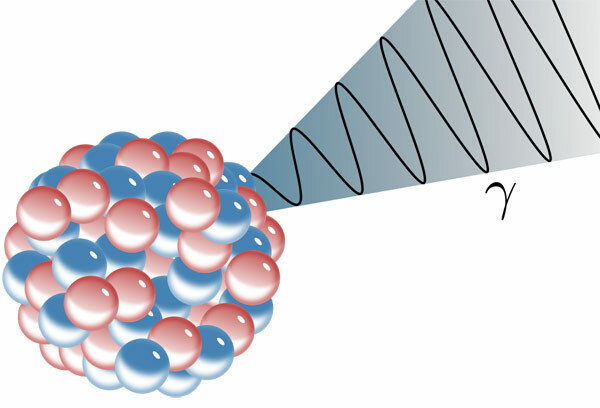 If a lens is made out of a large-atom substance like gold to bend the rays further, the researchers envision focused beams of energy that could either detect radioactive material or even make it inert by wiping off neutrons and protons. In theory, it could turn a nuclear power plant’s waste harmless. A practical use of the technology is still some distance off — but that it’s even within sight at all just feels like a breakthrough.